Offered here is perhaps one of the most significant, and striking Boba Fett artifacts, from the vintage Kenner line, to ever be offered for sale. Simply put, if not for extraordinary happenstance, this figure would not exist! 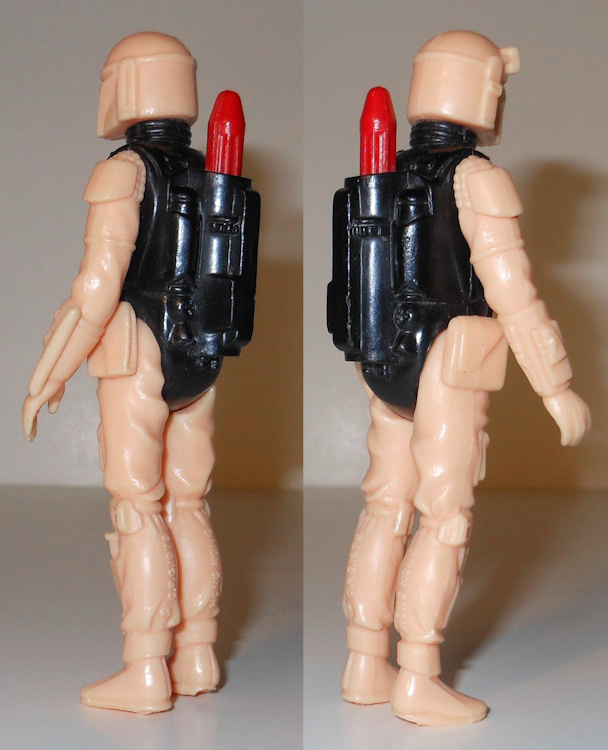 Up until this figure’s discovery – around 2003, all known first shots for the Boba Fett 3 ¾” action figure have all been Rocket Firing – circa 1979. Even the engineering pilots which failed in their safety testing were Rocket Firing! Facts that when considered, make this lone (one-of-one) first shot of a static "non-firing" example all the more amazing – if the dramatic bi-color hues of peach and black, wasn’t already amazing enough. More specifically, this color scheme is equally unique and is not shared with any of its rocket firing brethren, of which only two are found in unique colors (bi-color L-slot with yellow appendages and opaque torso; tri-color L-slot with blue torso and head, white arms and yellow legs.) Frankly, this figure is far more striking! This unpainted bi-color beauty was created for Kenner Products in 1981, two years after the non-firing molds had been finalized for use. It was made by a senior staff member as part of qualifying a new manufacture in Hong Kong. This individual worked at Kenner products from 1979 – 1986 and held the titles there of Senior Manufacturing Engineer and International Liaison Engineer Manager. Intriguingly, this individual refers to this figure in his accompany LOA, as both a “first shot” and an “engineering pilot”. 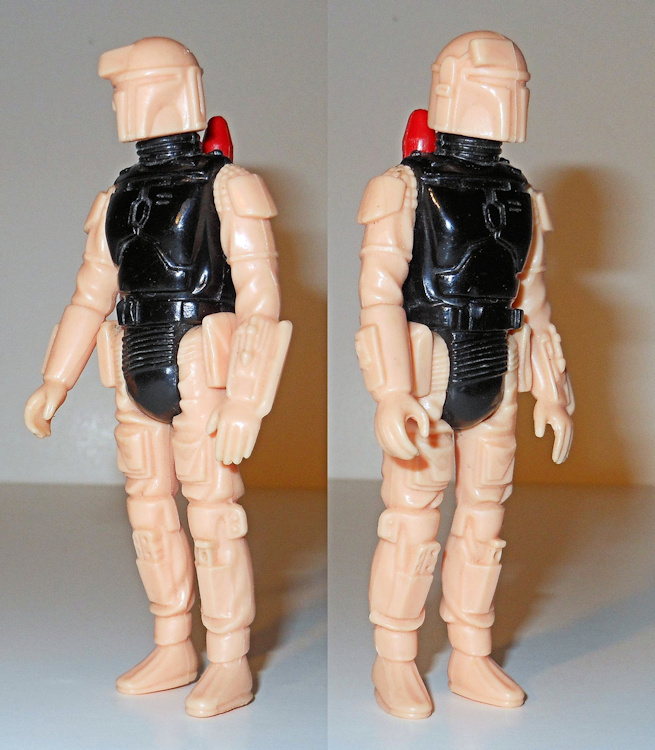 The figure is described as having head and limbs molded in beige (peach-like) PVC, with a torso made of black polystyrene. All licensing (copyright) and Country of Origins Stamps are also noted as present; which makes sense as by that time, it would have been production molds used to create the figure. Condition wise, there is some very light soiling to the PVC extremities and tiny scuff marks to the polystyrene torso on front. A couple manufacturing defects also occur; most notably, an irregular trim to the figure's right heel; a couple spots of thermal melt occurring lower right torso, near and at the belt, on front. While this first shot figure retains much of its original factory gloss it is less pronounced on the PVC elements - this possibly due to some handling and the plastic used. 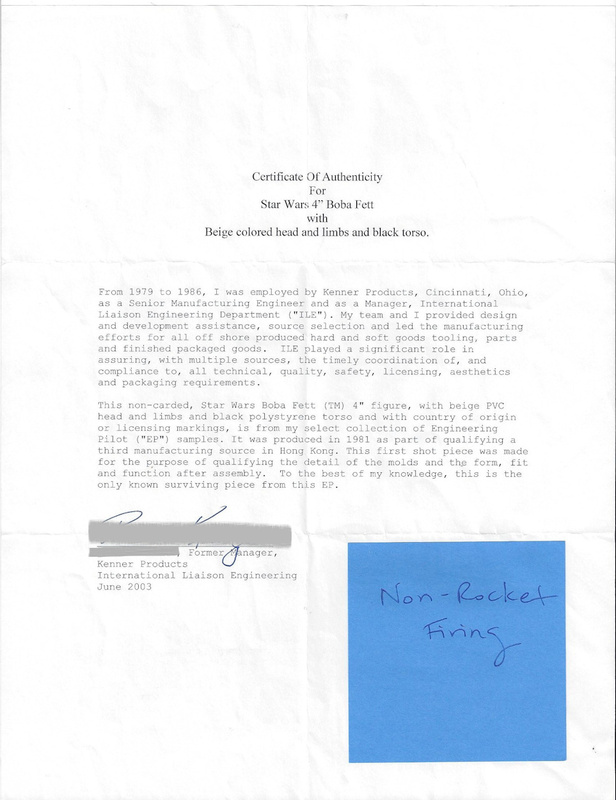 Comes with the original LOA from the ex-Kenner employee; the original LOA from Rachfal Enterprises, and just for good measure a document from CAS. An up-to-date LOA from Rachfal Enterprises can also be had upon request. 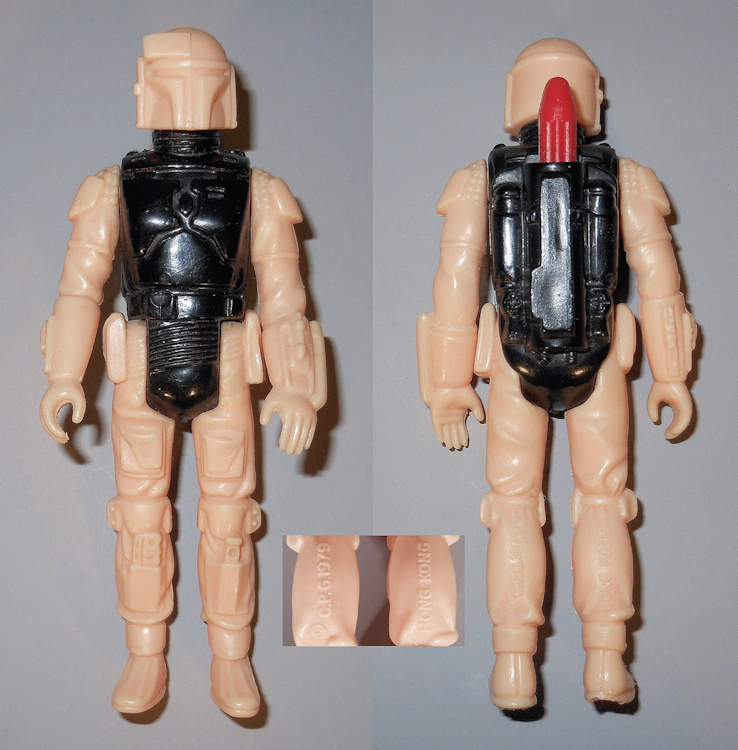 Note: In reference to the original RE LOA; although this figure was inspected at one time by Tom Derby and photographed for inclusion in collector / author John Kellerman’s second edition of “Star Wars Vintage Action Figures,” those images remains unpublished as the second edition never materialized. Previous owner of note: Tracey Hamilton. Previous brokers: Jordan Hembrough - Hollywood Heroes; Tom Derby – CIB; Brian Rachfal – Rachfal Enterprises.